The CEO of HONDA issues a challenge to his engineers . VW shows a 45 MPG sporty hybrid, they say appeals to your head and heart. Seems like Cadillac has a new model premiering every week lately and more are in the pipeline. 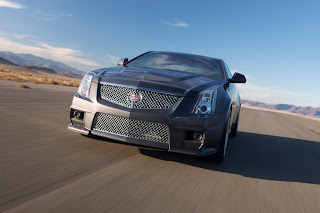 Get ready cause we are going to take a fast five hundred and fifty six horsepower ride in the 2011 CTS V coupe with Chief Engineer Dave Leone. Plus Beet juice on the highway and one man's strange way of "Paying it forward"
All that at the wheel reviews and a whole lot more when we get rolling on this weeks Cruise Control..